Distracted | Write Early, Write Often…Write Something! There is much out there to be concerned about. The recent track of Irma as the hurricane invaded Turks and Caicos, Puerto Rico, glanced past Cuba and made for the Florida Keys. At one point in time the trajectory was right up the middle of Florida with it’s sphere of rain, wind and havoc projected to cover the entire peninsula. Wow! We had all just witnessed Harvey who blew into Houston and decided to stay a while and dump on a low land that just happens to be important to our energy industry. Sigh! And you have to say to yourself, wait! What? no one is talking about Jose who is sitting out there in the Atlantic. What about Jose? Weather! No, it’s not the weather. I grew up in California. You knew you were in an earthquake when it hit. Up in Boston you knew you were in a major ice storm or blizzard–again–when it hit. Now you get 24/7 on the news channels. [Whose idea was it to give weather it’s own channel? So that we can constantly be alerted to all the natural disasters Mother Nature can dish out? Seriously?] Like we can do anything about it. Well, yes, I concede. We can do something, we can be prepared. There would have been tremendous loss of life in Florida if there were no warnings and people just stayed. 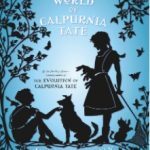 I recently read Jacqueline Kelly’s The Curious World of Calpurnia Tate. Yes, the voice was extraordinary, the story a powerful one of accepting society as it is and yet being brave enough to know that there are changes needed. 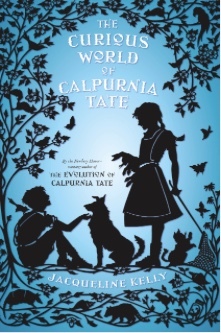 Calpurnia stays focused on the fact that she has a brain and wants to use it. And as her grandfather accepts her into his study, she finds support for her goals. Nicely Done. Interestingly, the story also talks obliquely about the Galveston Flood of 1900. A cousin comes to stay because her Galveston house is destroyed. A veterinarian comes to town with a story of surviving the flood. And through it all you realize that all their information is weeks if not months old. And while people are shocked and horrified at what occurred, that buffer of time also lessens the personal anxiety and fears. No buffer today. Journalists and reporters are out there, battered by the winds, lol, warning others to be careful. The weather is right in our homes, it’s on our social media as people check-in to say they are safe. It is fascinating and horrifying at the same time. And also, in retrospect, amusing, the loss of power does not seem to impact the WiFi and the posting continues. It’s like there is this invisible tether attaching you to the TV. It is a massive distraction. It is mesmerizing. It is addicting. How can you not watch? And yet, there are still very importing things going on in your own life. But still. The anxiety of the reporting~’it’s coming this way, no, it’s going here, landfall will be at…the winds are…’. You feel almost trapped by the ongoing coverage and what, dear god, if you miss something? You feel like you’ve run a marathon when it is over. Time to regroup. Time to settle your mind. Get back to the tasks that are important. Time to focus. Thank goodness I have a massive rewrite to concern me. After my critique sessions at the recent SCBWI Carolinas conference I was adrift, not really wanting to spend time. Upset at breaking my own rules about critiques, questioning now when I should have questioned then. But life is a series of ‘do-overs’. So here I am. Getting my anxiety out and on ‘paper’. Moving on. This entry was posted in Musing and tagged #iammusing #hurricanes #weather #harvey #irma #jose, #iamwriting, #jacquelinekelly #calpurniatate on 2017/09/13 by teresafannin.